The Walk in the Park program hosted by the Parks and Wildlife Commission of the Northern Territory is on again this year in Katherine's parks and reserves. 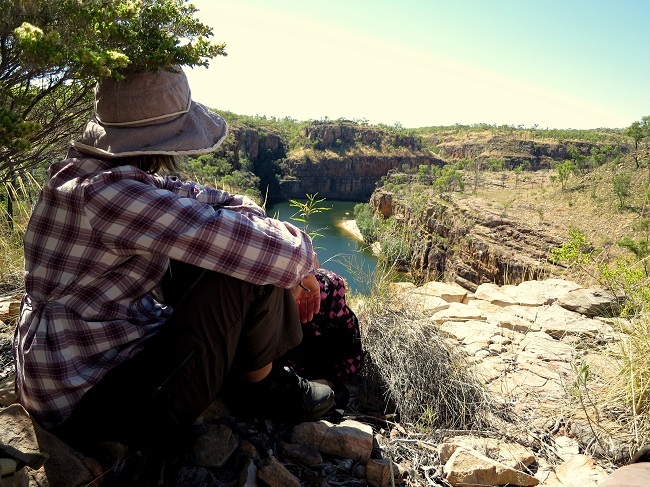 The popular program is free, fun and ‘first-time-hiker’ friendly providing the opportunity for all those who would like to explore the incredible network of tracks and trails in the Northern Territory’s National parks and reserves to get out and do it with others. Hikers are bound to discover amazing plants, birds, and incredible views and maybe even make new friends along the way. The series kicks off in April and will continue until September with walks taking in a number of different parks and reserves in Alice Springs and Katherine. All participants will need to be able to walk at least three kilometres over an uneven track and carry their own water and snacks for the day. Numbers are limited and bookings are essential.